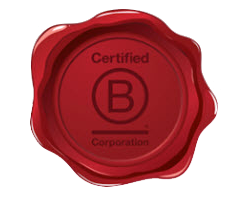 Capire Consulting Group has been a certified B Corporation (B Corp) since January 2016. B Corps use the power of business to solve social and environmental problems, by voluntarily meeting high standards of transparency, accountability and performance. The B Corp community works toward reduced inequality, lower levels of poverty, a healthier environment, stronger communities, and the creation of more high quality jobs with dignity and purpose. Certified B Corporations achieve a minimum verified score on the B Impact Assessment - a rigorous assessment of a company’s impact on its workers, customers, community, and environment. In 2017, Capire’s commitment was recognised through B Lab’s annual ‘Best for the World List’. Capire was identified as leading the way in three areas; Best for Overall; Best for Workers; and Best for Customers. The values and aspirations of the B Corp community are embedded in the B Corp Declaration of Interdependence.